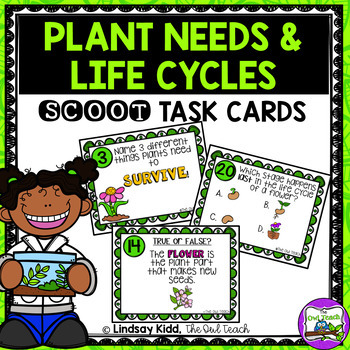 Get your students up and moving and engaged with science standards, through this Plant Needs and Life Cycles task card set! 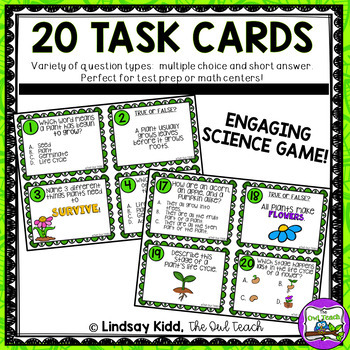 These PLANTS task cards are the perfect review game activity for students to review their understanding of the life cycle and needs of plants, and they can even be used as a formative assessment! 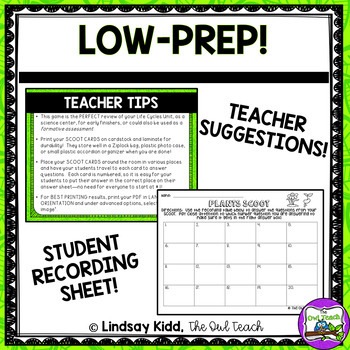 Your students will LOVE this activity AND you will love its LOW-PREP design! 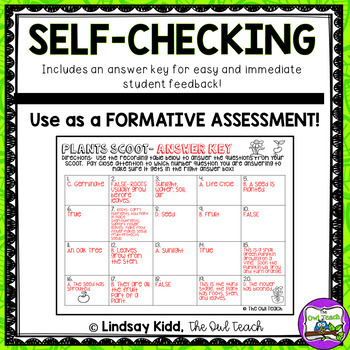 This set includes 20 SCOOT cards with multiple choice, true/false, and short answer questions, a student recording sheet, and an answer key. ☆Please go to your My Purchases page (you may need to login). Beside each purchase you'll see a Provide Feedback button. Simply click it and you will be taken to a page where you can give a quick rating and leave a short comment for the product. Each time you give feedback, TPT gives you feedback credits to use to lower the cost of your future purchases. I value your feedback greatly, as it helps me determine which products are most value to your classroom.